For US customer we have a new model which supports 3G. Therefore you have better connection and better tracking. 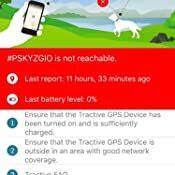 You can find the renewed tracker if you search for Tractive GPS Tracker 3G . 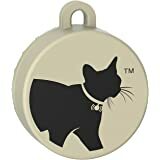 The Tractive Realtime GPS tracker device for pets and other animals will always let you know where your pet is. Check the location of your pet in a browser or using one of our free mobile apps for smartphones (iPhone, Android). The Tractive Safe Zone is a fantastic feature you don't want to miss. 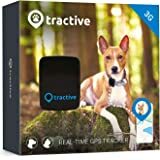 Tractive enables you to set a Safe Zone for your pet. As soon as your pet leaves the Safe Zone, you get an alert directly on your smartphone. No SMS costs, no hidden fees. 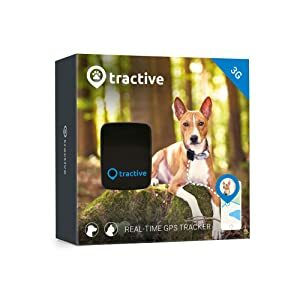 MONTHLY SERVICE STARTING AT $ 6.99 Tractive uses GPS and communicates through cell phone towers, which enable you to track your pet 24/7. Since using the cell phone towers and infrastructure has costs associated with it, we have to charge a low monthly service fee for Tractive. Tractive works with an integrated SIM chip, so you do NOT need a sim card or contract with a carrier! As we are confident you will love Tractive, you don't need a service commitment, can stop and restart the service anytime and of course we don't charge any activation or other hidden fees. We offer two service options. The device will be activated after you receive it at www.tractive.com/activate. The free Tractive apps for iPhone and Android allow you to see the location of your pet on an interactive map. With Tractive apps, you can also manage important pet information such as allergies, vet appointments and vaccination appointments. 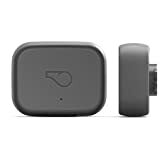 I am writing this review for people who don’t current own a pet tracking device and are trying to figure out what works best for them. I just purchased the Tractive and am very happy with it. 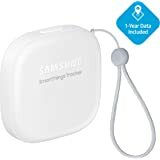 I had a Tagg GPS+ before and it didn’t work for me because it relied on the Verizon Network and that coverage is oddly non-existent at my house. (I live in a populated suburban area). Tagg’s customer service was cumbersome - -they said they were overwhelmed because the GPS+ had just come out. But, they did process a return. From my research, Tractive and Gibi rely on AT&T. Tagg relies on Verizon. Beyond that issue, I think anyone looking at buying one of these devices should think about what their needs are and what functions are most important. The first question is where does your pet spend most of its time? 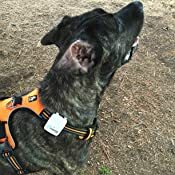 The second question is whether you are relying on this for routine tracking or for emergencies - -your pet is out of its safe space and you need to find it. Being inside or outside is important for the GPS feature which needs, at some point, access to the sky. (Or the cellular connect that can get you close but not as precise as the GPS). If you are relying on it in an emergency you need to think about how user friendly it is when you are panicked that you can’t find your pet. I have found the Tractive has a much faster response when I want to know where my dog is. For the Tagg, it could not locate my dog inside. That was probably due to the poor Verizon coverage. But even on our walks, there were several times it could not locate my dog when I could see him! 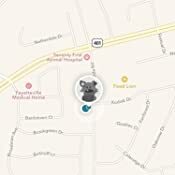 Tractive has been speedy and locates very quickly. 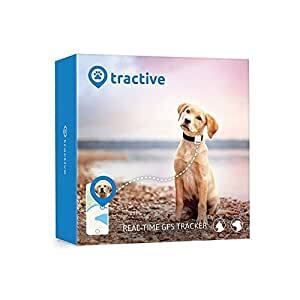 I find Tractive’s tracking function much better that Tagg – again quick and real time. I also like the Tractive app better than the Tagg app. It seems the notification function is more straight-forward and I didn’t need all the bells and whistle of Tagg. But, again, I wasn’t relying on the leaving the home zone function. But I also found that the Tractive app gives me information faster and in a cleaner format. Again, I want to be able to use the functions when I am panicked because my dog isn’t where he should be. I want to be able to cleanly get the information. It is one of the reasons I did not go with Gibi as they rely on a website and don’t have an app. 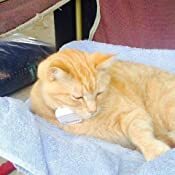 To have my cell phone looking for a website and updating that website would add one more stress in an already stressful situation of looking for my dog. I have not found the battery life to be a problem. So Tractive gets five stars after several days of use. I will update this review if my views change. I sincerely wish that I could write ten 5-star reviews for the Tractive GPS. I did extensive research and read a lot of reviews before purchasing this device. I'm happy that I did. The system is incredibly accurate, much more so than other GPS systems for other applications. I can literally be standing 24" from my pet, zoom in on the phone app map and see the distance between us. Battery life: From my trials the battery lasts about a week between charges in stand-by mode, about 24hrs during Live Tracking (which you would never use in an active tracking situation), and about 2.5weeks in stand-by mode if you turn on the device only when walking your dog. The device fully charges in about 2 hours. I have tested the device in heavy rain and it is indeed water resistant. The Tractive comes with two clips, one for a very thin, low profile collar, the other for most standard collars. The clip is very secure. 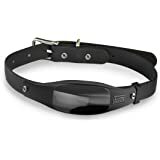 My dog (mastiff) has gone barreling into hedges, lodged herself into groundhog holes and wrestled, without the device becoming detached from the collar. Then there is the phone app, which has a really easy to use interface, especially for someone like me who is only moderately savvy with wireless technologies. I got the whole thing set up in 5-10 minutes. 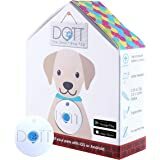 The app not only tracks the precise position of your pet, but allows you to turn on a light on the device remotely to help in after dark situations. 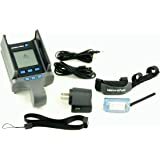 I purchased this device after my rescue dog "Cali" had run away from neighbors who were pet sitting while I was a 4 hour flight away. She ended up in protected wetlands that were full of coyotes, ticks and no public access. After a 2 day search on the part of over 20 people, she was finally found dehydrated, injured, hungry and exhausted. I never want to go through that again, and I'm sure Cali does not either. I now never go out with her without her Tractive device on and in stand-by mode. I always active the Live tracking for 15 seconds to make sure that it is functioning. I have never once had a problem. 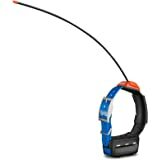 One tip - be sure to attach the Tractive to a harness or collar that your pet cannot pull out of. I actually have it attached to a harness and then use a separate Martingale collar to attach her leash. This ensures that if Cali somehow pulls out of her collar, the Tractive is always attached to her. 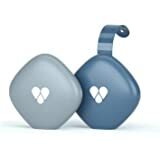 I have already recommended the Tractive to three close friends with dogs, who have all purchased and love it. I stand 100% behind this review. We bought this when we took our dogs on a visit to my parents in TN. They have a 6-acre property with no fences in a pretty rural part of the state. One of our dogs likes to explore and chase things, so we were concerned about her running off and getting lost. The first morning there, she went exploring and couldn't figure out how to get back. I was able to use the compass feature to point me in the right direction and find her. Fortunately, after that she figured it out and was always able to find her way back on her own. The GPS isn't as precise as what you see on other devices, like your cell phone, but it will get you close enough to call them or probably see them in an open area. The feature to turn on a light or an audible beep on the collar is smart and also makes pinpoint precision on the GPS unnecessary. While not a must have feature, I have to say it was fun to be able to track her movement history and see where she was going when she was out and about. She made it a lot further than I would have guessed. I found the Safe Zone feature to not be terribly useful. This is where the imprecise GPS was a problem. Too many false alerts. The only way I was able to eliminate them was to set the safe zone to be larger than I actually wanted. But a safe zone that is too large is still better than no zone at all. The ability to do a monthly subscription is good as well. I don't need this product at home. Only when we take the dogs on a trip. I activate the subscription when I need it and turn it off the rest of the time. While there are cheaper products out there, I'm glad I bought this one. I would buy it again.